HEBEI SAKAGUCHI STAINLESS STEEL CO.,LTD is a dedicated stainless steel wire and wire product manufacturer located in the Lingang E.D.Z Shanhaiguan District, Qinhuangdao City of the Hebei Province. With many praises received from our customers as well as from within the industry, Sakaguchi is one of the landmarks in the Chinese stainless steel wire industry. We are certified to ISO 9001:2008 and execute JIS standard during operation. With solid technical strength, scientific manufacturing process and strict quality-control system, Sakaguchi only selects the best raw materials from all over the world and turns them into a wide variety of high quality stainless steel products. Over the years, Sakaguchi has made use of advanced production and testing machineries, while acquiring world-class talents to continuously improve our product quality and optimize our level of service. Our product includes SS wires in a variety of grades, sizes, strengths, surface finishes, coating, and packages to suit your usage. We also offer a range of wire-products, including knitted mesh, woven mesh, compressed mesh pads/gaskets, baskets as well as filter discs. Please refer to our product page to find out more. If you have been in the stainless steel wire industry for long enough, you are probably already familiar with the word “Sakaguchi”. Our name traces all the way back to 1952 when Mr. Tadao Sakaguchi established his first wire-drawing business in Osaka, Japan. 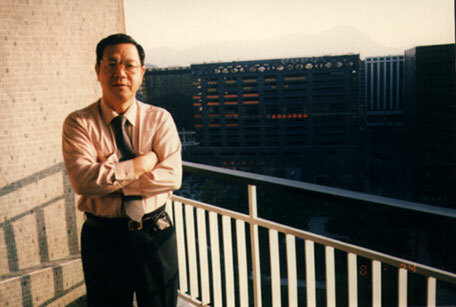 Mr. Sakaguchi moved his production base from Osaka to the city of Qinhuangdao in the year 1988, bringing his wire-drawing technology and business philosophy to the vast land of China. Our latest manufacturing facility – Hebei Sakaguchi Stainless Steel Co.,Ltd was launched in 2014 through internal reforms and utilized the latest production & quality control technologies. The new facility is still in the City of Qinhuangdao, but relocated to the beautiful Shanhaiguan District. With increased efficiency and capacity; decreased carbon footprint and cost to our customers; what remains unchanged is our company culture, technical know-hows and strict quality standards. Our goal is to continue setting new heights on the principles set by Mr. Sakaguchi himself: “Super Quality, Speedy Delivery, and Spiritual Peace” – a three “S” promise made by a three “S” company (Sakaguchi Stainless Steel) to our customers the world over. We can be proud to say that over the last 28 years, Sakaguchi has contributed tremendously to the development of SS wire-drawing and SS wire products industry in China. Founder of Sakaguchi Stainless Steel: Mr. Tadao Sakaguchi.